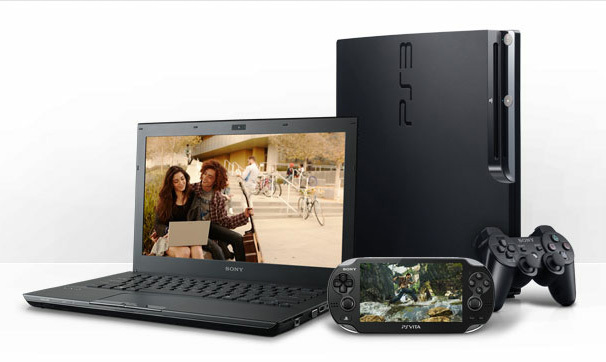 Eligible student and faculty have the opportunity to get a free 160GB PlayStation 3 with the purchase of a new Sony VAIO laptop. If you're a student who's looking for a new laptop, Sony has you covered. What's better is that, if you purchase one of their eligible VAIO laptops, you can get a free 160GB PlayStation 3, which retails for $250. This promotion comes courtesy of CouponBuzz.com. Many of Sony's latest computers are eligible, even including their 24-inch L series all-in-one PCs. All eligible computers feature the latest third-generation Intel Core-series of processors. On a light budget? The cheapest laptop is the 15.5-inch S, which starts at $969.99. Money not a problem? Sony's 13.1-inch Z is the most expensive machine, and is packed to the brim with a Core i7-3612QM CPU, 8GB DDR3 1600 RAM (2x4GB DIMMs, soldered to the motherboard), a 1920x1080 display (quite high for a 13" notebook), Intel's HD 4000 GPU, and Bluetooth 4.0. The best part? Dual 256GB SSDs. Interested? Hit up the coupon link here and look for the "FREE PlayStation with Select Sony VAIO Computer Purchases" promotion. Be quick, as it ends today! CouponBuzz.com knows that college-bound students are gearing up for the school year with state-of-the-art personal computers. Parents fondly hope a new laptop will increase homework completion rates, and students are eager for a multimedia hosting side-kick that will facilitate hours of YouTube browsing and Facebooking. And for high-performance laptops with enhanced multimedia capability, the Sony VAIO is at the top of the competition. Which is why today’s bonus deal pushed this particular Sony coupon to the top of CouponBuzz.com’s dedicated Sony coupon web page. College students being what they are, the latest Sony Coupon to hit the designated section at CouponBuzz.com is raising quite a ruckus, with its offer of a free 160G PlayStation 3 with the purchase of a Sony VAIO laptop. (Only college students and faculty are eligible). After all, any college freshman worth their weight knows a PlayStation is essential survival gear as much as any new laptop. What could be better than getting an upgraded model as a bonus for purchasing a sweet new laptop? Interested consumers can checkout all the details of the special offer on this page. Eligible Sony VAIO laptop models for this offer, a free PlayStation 3 with purchase, include the 15.5 inch and the 13.1 inch VAIO S series, and the 13.1 inch VAIO Z series. Aside from the obvious screen size differences, the models in the both the S and Z series are very similar, with the Z series processor being slightly faster and its build slightly lighter. Each of the eligible laptops features a 3rd Generation Intel Core i5 or i7 processor, between 6G and 8G of DDR3 memory, and hard drives between 500G and 640G capacity. To access this Sony coupon and get full details and specifications on all of the eligible laptops, visit the following link http://couponbuzz.com/sony-coupons.html.